Big Wedding or Small Wedding, Pros and Cons! Big Wedding VS Small Wedding: The Pros and Cons! 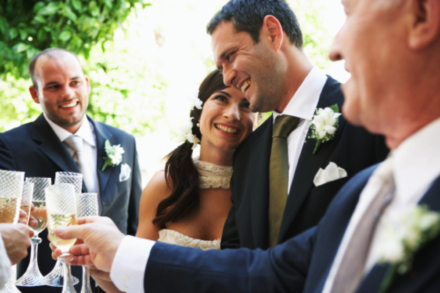 Weddings are a special day for not only the bride and groom but for their families as well. One of the biggest questions often is how big do we actually want our Wedding to be? Do you want big and bold or small and simple? Here are few pros and cons for both sides of the argument! – You get to invite all your family to see you get married on your big day. – The more people you invite, the more help people will be willing to give you. – The atmosphere will be amazing! – The cost will inevitably rise the more people you invite. – The Wedding photos will take hours to be taken! – It’s not as personal. – There’s much more work involved. – You get to spend more time with your new husband than making your way round the guests. – Incredibly easy to organise. – Have less things to worry about when preparing. – You have to be selective with your guest list. – Could feel a little lonely or underwhelming. – Could disappoint some family and friends who didn’t get invites.